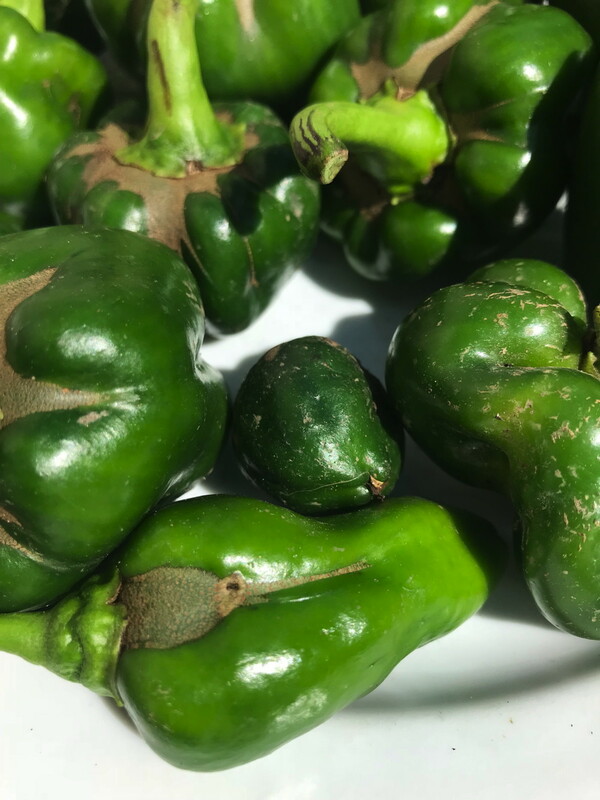 Late season sweet peppers damaged by pests and disease removed from OVG in September 2018. Living in an urban, climate-controlled environment, it’s easy to miss the signs of climate change right under our noses. We hear on the news that summers are hotter. We sense we’re experiencing more epic deluges and periods of drought. The weather is more extreme and unpredictable from what many of us remember from our childhoods. Does March come in like a lion and go out like a lamb? Should we still plant our gardens on Mother’s Day? Where did gentle summer showers go? And what the heck happened to my tomatoes last year? Nash is not alone. There is broad consensus in the scientific and policy communities that climate change is already happening in Virginia. In terms of atmospheric temperature, between 1960 and 2017, the average number of days above 90 degrees increased from 18 to 30. Looking ahead, climate models based on sets of assumptions for how quickly and completely we can rein in man-made, greenhouse gas emissions offer a range of possibilities. “Business as Usual” scenarios suggest Virginia could be as hot as South Carolina by 2050 and northern Florida by 2100. The impact on our gardens is harder to discern. The smaller the geography, the more severe weather events and local factors like proximity to heat-trapping cities, bodies of water, forests and mountains come into play. Even with these caveats, there is much we can glean from the best information science has to offer. That information points to a number of trends that will change the way we garden and what we plant. In Arlington and Alexandria, we can expect hotter average air, water and soil temperatures, increases in precipitation in winter and spring, more intense and frequent storms, and an increase in the number of consecutive dry days. For Virginia’s coastal zones, sea level will also rise. Plant Health: Plants will experience more heat- and water-related stress which could affect basic plant functions like transpiration and photosynthesis. Stresses will also reduce plants’ ability to assimilate carbon dioxide, pollinate, produce flowers, and set fruit and seed, leading to declines in production and overall plant health. For plants already at the southern-most reach of their ranges, plant viability could be in question. Soil Health: The increase in precipitation, especially torrential rain events, will lead to an increase in runoff but less infiltration of moisture into the soil. It will also flush essential nutrients from the soil and decrease nutrient accessibility to plants. Drought, like extreme wet conditions, can have similar effects on plant performance, nutrient uptake, and nutrients in the soil. Pests, Weeds, and Diseases: Invasive, non-native plant and animal ranges will expand as they take advantage of weakened ecosystems. Plants such as Pueraria montana (Kudzu), Aliaria petiolata (Garlic mustard), Lythrum salicaria (Purple loosestrife) and Lonicera japonica (Japanese honeysuckle), and insect species such as the Gypsy Moth and the Emerald ash borer may flourish and out compete many native species as conditions change and as stressed plants produce less of the chemical compounds that ward off intruders. Wondering what you can do to cope with climate change in your own garden? Stay tuned for Part 2, April 3, 2019 : What’s a Gardener to Do? for suggestions on changing garden practices to keep up with climate change. This entry was posted in climate change, Public Education and tagged climate change, USDA Hardiness Map. Bookmark the permalink.